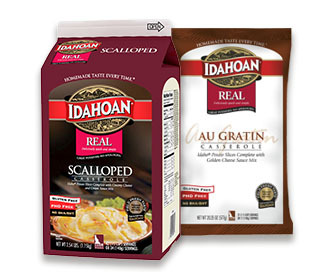 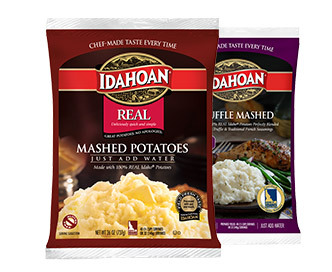 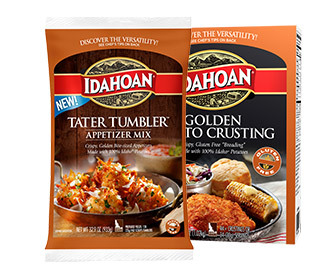 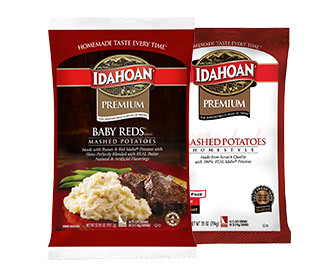 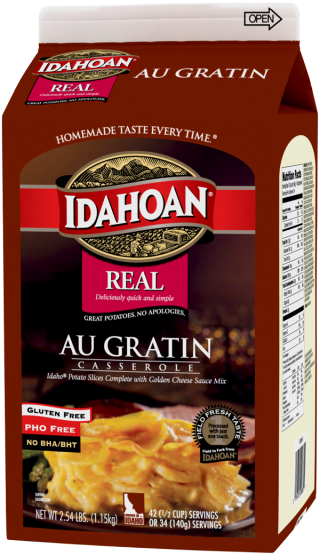 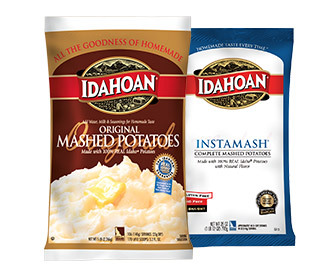 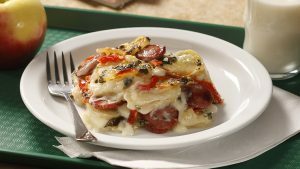 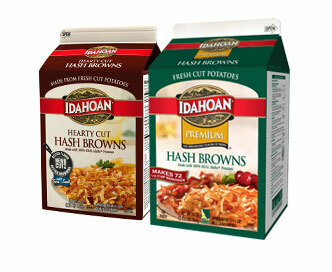 Idahoan Au Gratin Potato Casserole is made from sliced dehydrated potatoes cut from 100% Idaho® potatoes and a cheese sauce mix. 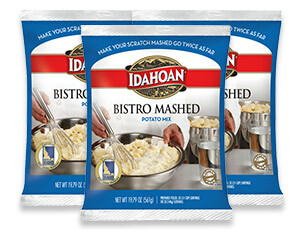 Add boiling water, margarine or butter (if desired) into steam table pan per preparation chart below. 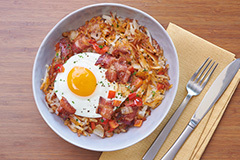 Stir in sauce mix with wire whip. 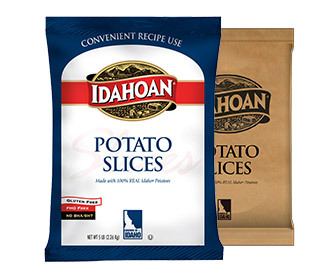 Add potato slices and stir. 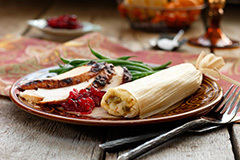 Bake in convection oven at 350°F for 35 minutes (400°F in a conventional oven for 40 minutes). 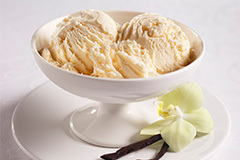 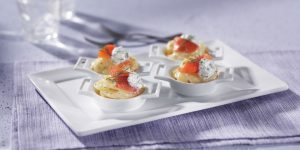 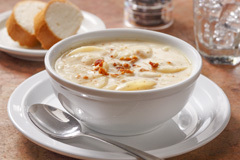 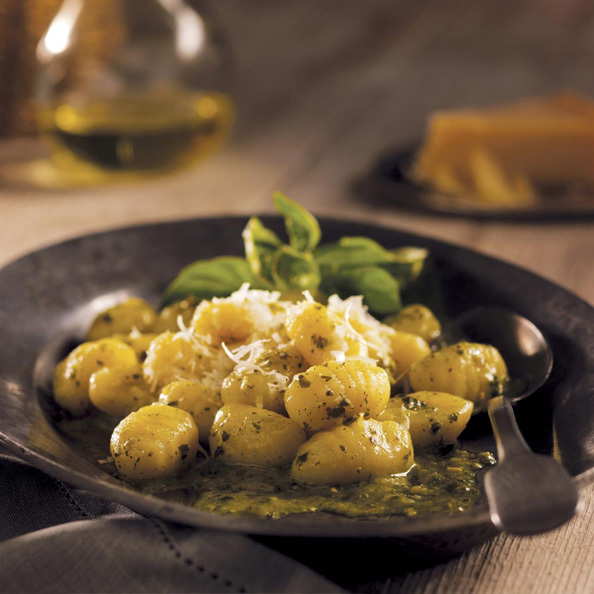 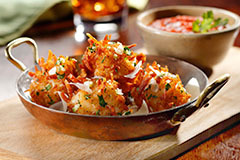 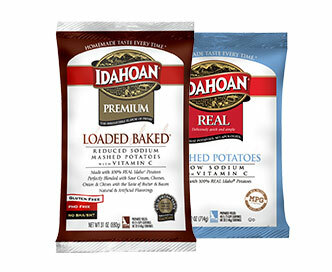 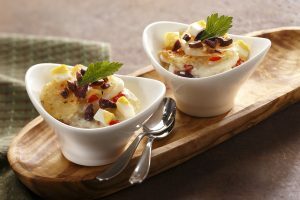 Idaho® potatoes (preserved with sodium bisulfite), butter powder (maltodextrin, butter [cream, salt], nonfat dry milk, buttermilk, salt, canola oil, sour cream [cultured cream, nonfat dry milk], disodium phosphate, natural and artificial flavors, lactic acid, citric acid), whey powder, modified food starch, coconut oil, salt, corn syrup solids, maltodextrin, cheddar cheese blend (whey, maltodextrin, reduced lactose whey, canola oil, cheddar and blue cheese [cultured milk, salt, enzymes], salt, butter, disodium phosphate, whey protein concentrate, modified food starch, citric acid, lactic acid, yeast extract, natural and artificial flavors, corn syrup solids, autolyzed yeast, torula yeast), dehydrated garlic, corn starch, dehydrated onion, soy lecithin, sodium caseinate, natural flavors, mono and diglycerides, dipotassium phosphate, xanthan gum, spices, annatto extract, paprika extract, yellow #5 and less than 2% silicon dioxide added as an anti-caking agent.